Choosing a dentist may seem like a straightforward task, but when selecting the right dentist for you and your family, it’s important to do your research. When choosing a family dentist, you’ll want to be certain that you’re meeting the dental needs of you and your family. Before deciding to visit the first dentist you come across, it’s important to dig deeper to fully understand the services and experience that a dental practice has to offer. What experience do the dentists have? One of the best ways to determine the expertise of a particular dental practice is by knowing the experience of their dentists. It’s important to find a dentist who is skilled not only in teeth cleanings, exams, and x-rays, but also in any other more specific dental services you may be looking for. If a dental practice is unable provide details on the practicing dentists and their experience, you may want to reconsider going to that practice. Does the dental practice treat all ages? Some dental practices say that they provide family dentistry, but in fact do not treat young children. If you have younger kids, you’ll want to be sure that the dentist you are considering treats children of all ages. General dental care is usually provided by most dental practices, but in addition to that, most family dentists will provide other services as well. These can include (but are not limited to) cosmetic dentistry, orthodontics, restorative dentistry and more. Services offered by a dental practice can vary, therefore, be sure that the dental practice you choose provides the dental services most important to you. In addition, it’s beneficial to ask which procedures are most often performed in that given office. What are people saying about the dental practice? Asking others and researching reviews is one of the most reliable ways to get a feel for a dentistry practice. These reviews are unbiased testimonials from people just like you. 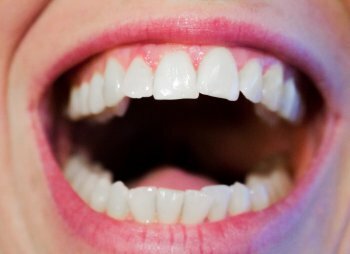 Asking around for referrals is a great way to get a feel for the reputation of a dental practice. Also, researching family dentists that have been in practice for many years is a good place to start, as they are certain to have experience behind them.